One of the largest air defence acquisition programmes in India is MRSAM, jointly developed by DRDO and Israel Aerospace Industries (IAI) which provides a networked, integrated naval and land-based air defence capability against maneuvering aircraft, UAVs and cruise missiles. With the emergence of new, highly sophisticated aerial threats, investments in air defence capabilities are growing at a rapid pace. 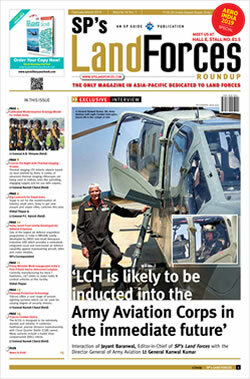 Maintaining one of the world’s largest military forces, India is heavily invested in the air defence modernisation, fielding new systems modernising older weapons and replacing obsolete systems with modern, state-of-the-art capabilities for all three services – Air Force, Navy and Army. 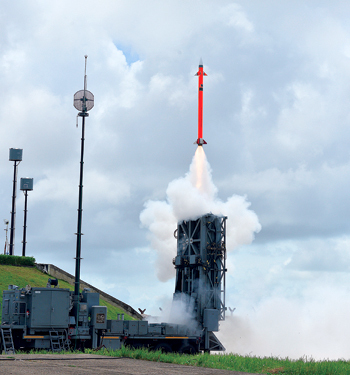 One of the largest air defence acquisition programmes in India is MRSAM, jointly developed by DRDO and Israel Aerospace Industries (IAI). In some of the projects, Bharat Electronics Ltd (BEL) is the main contractor and lead integrator. MRSAM has been acquired in multiple orders as a common defence building block, for all armed forces in India – Navy, Air and Land. MRSAM provides a networked, integrated naval and land-based air defence capability against maneuvering aircraft, UAVs and cruise missiles. With plans to extend the missile’s range to 150 km (ER version) the combined fire unit operating two missiles ranges could quadruple its area coverage in the future, as the ER will be able to seamlessly with MRSAM units. Using the same interceptor strapped to a booster, the ER missile will more than double the intercept range reaching 150 km, while keeping same set of sub-systems and spares to enable a most efficient life cycle cost. This range extension may be used by all three services, already operating the current 70 km MRSAM. The Indian Navy also modernises many of its air defence capabilities with MRSAM fielded with indigenously built vessels. In this application vertically launched MRSAM is designed to engage the most challenging threats, from saturation attacks by supersonic sea skimming missiles or highly maneuverable, high flying targets. The Indian Army also intends to field short range quick reaction capabilities and has selected IAI’s SkyCapture system to modernise, enhance and coordinate existing air defence artillery, as well as current and future short-range missile systems. IAI has developed and successfully live fired under Indian Army demonstration, a quick reaction surface-to-air (QRSAM) capability with the MRAD interceptor, a 30 km air defence system implementing unique fire-on-the-move technology to defeat low and high-flying targets at medium and short range while protecting the moving ground forces. Equipped with a new seeker that enables all-weather operations, and a missile designed for agility and engagement of targets at all altitudes, MRAD has demonstrated the capability to deploy rapidly, operate on the move and simultaneously engage multiple targets. These successes are based on the experience IAI has gained in 60 years of developing and supplying Air and Missile Defence systems for customers worldwide. IAI has led the development of Israel’s multi-layered ballistic missile defence programme, as the prime contractor for the Arrow 2 and Arrow 3 missile defence systems and provider of key elements for other widely deployed air and missile defence systems. Parts of the Arrow anti-ballistic missile system. The system employs large early warning radars, battle management systems and Arrow 2 and Arrow 3 interceptors, the system is designed to defeat ballistic missiles in exo-atmospheric and endo-atmospheric engagements, targeting missiles and warheads at their mid-course and terminal phases. 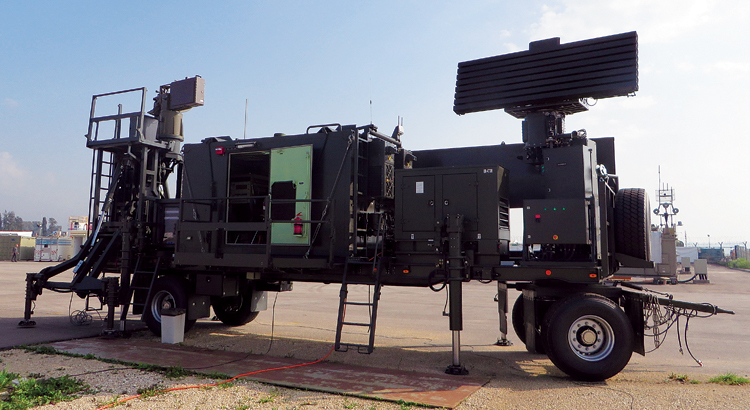 While the Arrow system is exclusively used by Israel, related system including the ELM-2090 Terra and ELM-2080 Green Pine early warning radars have been exported to some allied countries.